Eddie Cloer attended Harding University in Searcy, Arkansas; Oklahoma Christian University in Oklahoma City; and Harding University Graduate School of Religion in Memphis, Tennessee. He holds the B.A., M.Th., and D.Min. degrees. His dissertation focused on evangelistic preaching. Having begun preaching at age fifteen, he has preached the gospel for over forty years, serving congregations in Clarksville, Hot Springs, and Blytheville, Arkansas. He has preached in more than 850 gospel meetings in thirty-five states of the USA and in several other countries, including England, Singapore, Ukraine, and India. Cloer teaches Bible and preaching classes at Harding University. Since 1981, Cloer has edited and published Truth for Today, a monthly publication for preachers and teachers. In 1990, with the help of World Bible School teachers and the Champions church of Christ in Houston, Texas, he began Truth for Today. Its expository Bible studies assist nearly 40,000 preachers and teachers in more than 140 countries. Dr. 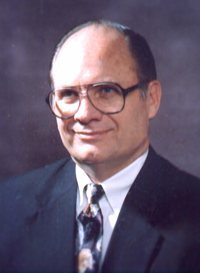 Sellers S. Crain, Jr., has been teaching and preaching for fifty years and has served congregations in Louisiana, Alabama, Kentucky, and Tennessee. A graduate of Athens State University in Alabama, Crain holds master’s degrees from Alabama Christian School of Religion (now Amridge University) and Luther Rice Seminary. He earned his D.Min. degree at Trinity Evangelical Divinity School (now Trinity International University) in Deerfield, Illinois. Crain has been a teacher in the Tennessee public school system and several schools of biblical studies, serving as director for the School of World Evangelism in Guin, Alabama, and Mid-South School of Biblical Studies in Madison, Tennessee. He has also taught in Ukraine, Greece, Peru, and Panama and has made twenty-three mission trips to eleven countries. A prolific writer, Crain has authored more than 1,500 articles and thirty-seven curriculum books. His articles have appeared in various journals, including Gospel Advocate and Power for Today. For five years, he wrote the Gospel Advocate Companion, an annual adult lesson commentary. He has served on the board for The World Evangelist and has edited junior and senior high Bible class materials for 21st Century Christian. In addition, he has spoken at numerous lectureships, gospel meetings, and special events. His lessons have also been broadcast on radio and television programs. Sellers and his wife Wanda were married in 1961. They have three children and four grandchildren. Dr. Earl D. Edwards has devoted a lifetime to serving the Lord in preaching, missions, and scholarship. He attended Central Christian College (now Oklahoma Christian University of Science and Arts), and he earned the B.A. degree in communications at David Lipscomb College. He received the M.Th. degree from Harding Graduate School, and he completed his D.Miss. at Trinity Evangelical Divinity School in Deerfield, Illinois. 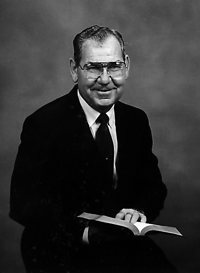 Edwards began preaching in 1952 and has served as a minister in Kansas, Arkansas, Sicily, and Florence, Italy (1960-1976). 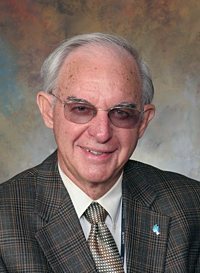 He has written for Gospel Advocate, Spiritual Sword, and other periodicals and is the author of Protecting Our “Blind Side.” Edwards taught at Harding University as the visiting professor of missions from 1976 to 1977. 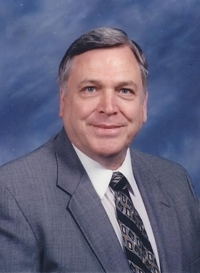 In 1982, he began teaching Bible at Freed-Hardeman University, where he served as dean of the School of Biblical Studies from 1991 to 1993 and director of graduate studies in Bible from 1989 to 2008. He has been honored multiple times by Freed-Hardeman for his outstanding teaching. Oklahoma Christian named him the alumnus of the year for the College of Biblical Studies in 1998. In 2004, he was honoree of the Appreciation Dinner at the annual FHU lectureship. Edwards was married to Gwendolyn Hall from 1953 until her death in 1986. Together they had two children, Terry and Karen, and eight grandchildren. Edwards remarried in 1988 to the former Lora Young. Dr. William W. Grasham has been preaching for over sixty years in Texas, California, Arizona, Germany, and Scotland. He received a B.A. in 1962 and an M.A. in 1968 from Pepperdine University and the M.Div. from Abilene Christian University in 1975. He was awarded a Ph.D. in 1985 from the University of Aberdeen in Scotland, upon completion of a dissertation that examined the nature of the Qumran community, the writers of the Dead Sea Scrolls. From 1975 to 1978, Grasham and his family lived in Kaiserslautern, Germany, where he preached for an American military congregation. Then they moved to Aberdeen, Scotland, so he could continue his education. While there, they helped to establish a local congregation of the Lord’s church. Grasham did post-doctoral studies at the Hebrew University of Jerusalem and also participated in archaeological digs at Tel Dor in Israel. For over fifteen years, he taught Old and New Testament and Biblical Theology courses at the Center for Christian Education in Dallas, Texas. 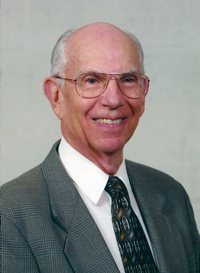 He retired in 2005 but continued to present seminars for graduate students on the Bible and archaeology and on the gospel in the Old Testament. He and his wife, Eleanor, have been blessed with four children, seventeen grandchildren, and eleven great-grandchildren. He and his wife, Ruth, have three grown children: Dita Simeona of Hawaii, Tonja Rambow of Alaska, and Darren Keesee of Texas. Jay Lockhart, a native of West Virginia, attended Freed-Hardeman University and Lipscomb University, where he received the B.A. degree in Bible. He earned the M.A. degree with a concentration in New Testament from the Harding Graduate School of Religion. He completed advanced studies in church administration at Trinity Theological Seminary. Lockhart served as a pulpit minister for twenty-three years in Tyler, Texas, and now serves the church in Benton, Kentucky. He has hosted television and radio programs and has written for several Christian publications. 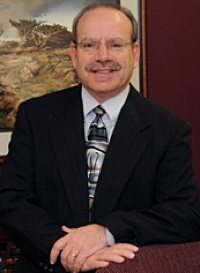 He has served on the Board of Trustees at Freed-Hardeman University since 1997. Lockhart and his wife Arlene have three children and six grandchildren. 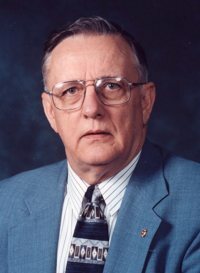 John (Jack) T. McKinney was born in Sweeny, Texas, in 1927. After graduating from high school (1944), he served in the Pacific in the US Navy during the final days of World War II. Following his tour of duty, Jack earned a bachelor’s degree in German at Abilene Christian College in Abilene, Texas (1949). He studied German at the University of Heidelberg and also French in Paris. After returning to the US, Jack worked with congregations in Austin and San Angelo, Texas, and was a teaching assistant in German at the University of Texas. He later taught both French and German at Abilene Christian College (1952–1955). He conducted mission work in Frankfurt and Chemnitz, Germany, and Zurich, Switzerland. Jack returned to Abilene Christian College, where he completed a master’s degree in Greek (1966). During that period, he preached for the church of Christ in Trent, Texas. The family then returned to Zurich for mission work (1966–1974). Toward the end of that time, Jack also served as a Bible instructor at Pepperdine University in Heidelberg. For approximately the next twenty years, Jack taught Bible and Biblical Languages at Harding University in Searcy, Arkansas (1974–1992). He went on to be with the Lord in 2014, at the age of 86. Jack and his wife, the former Joanne Wilkinson, were blessed with four children, eight grandchildren, and six great-grandchildren. 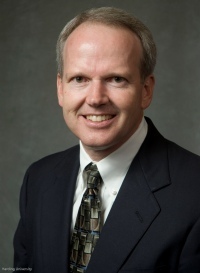 Bruce McLarty is the president of Harding University. He graduated from Harding University with a B.A. in Bible and from Harding University Graduate School of Religion with the M.Th. degree. He was awarded the D.Min. degree from Ashland Theological Seminary in Ashland, Ohio. In 1999, he was named Harding’s “Outstanding Alumnus” in Bible. McLarty brings a wealth of ministry experience to this series. He has preached for churches in Arkansas, Mississippi, and Tennessee. For two years, he and his family were missionaries in Meru, Kenya. From 1991 to 2005, he served as pulpit minister for the College church of Christ in Searcy, Arkansas. He and his wife, Ann, have two daughters, Charity and Jessica. Edward P. Myers is a Professor of Bible and Christian Doctrine at Harding University in Searcy, Arkansas. He has served as a minister for congregations in Texas, Oklahoma, Ohio, West Virginia, Tennessee, and Arkansas. He holds a D.Min. from Luther Rice Seminary and has a Ph.D. from Drew University. He is the author of several books, including A Study of Angels, Evil and Suffering, and After These Things I Saw: A Study of Revelation. He and his wife Janice have three daughters, Candy, Christy, and Carolyn. Owen D. Olbricht was born in Thayer, Missouri, and attended Harding University, where he earned a B.A. in speech. He also received the M.A. and M.R.E. degrees in Bible from Harding University Graduate School of Religion. 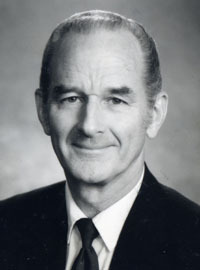 In 1980 Harding honored him with the “Outstanding Alumnus” award in Bible. Olbricht has spent a lifetime in ministry. He has worked in local ministry for churches in Arkansas, Missouri, and New Jersey. In 1964, he began working with Campaigns Northeast/Southeast in the US. These efforts have resulted in more than three hundred campaigns and three thousand baptisms. All together, he has led evangelistic efforts in England, Ukraine, Russia, Canada, Mexico, Haiti, Jamaica, Venezuela, and in thirty states in the US. Martel Pace was born in Arkansas and was reared in Flint, Michigan. He preached his first sermon in 1952, at the age of seventeen, and began preaching full time in 1956. In his fifty-plus years of preaching, Pace has served congregations in Arkansas, Michigan, Missouri, and Alabama. He currently serves as the Involvement Minister at the University church of Christ in Montgomery, Alabama, and teaches part time in the V. P. Black College of Biblical Studies at Faulkner University in Montgomery, Alabama. Pace has studied at Freed-Hardeman University in Henderson, Tennessee; Harding University in Searcy, Arkansas; the Harding University Graduate School of Religion in Memphis, Tennessee; and Regions University (formerly Southern Christian University) in Montgomery, Alabama. He holds the B.A., M.A., and M.Div. degrees. He is the author of The Third Incarnation. Martel and his wife, Doris, have three children and nine grandchildren. Denny Petrillo is president of Bear Valley Bible Institute of Denver. He was a student there and also attended York College, Harding University, and Harding University Graduate School of Religion, earning A.A., B.A., and M.A. degrees. He received his Ph.D. in religious education from the University of Nebraska. Petrillo has devoted his career to preaching and teaching. He has preached full time in Mississippi and has conducted more than 300 gospel meetings and seminars in the United States and several foreign countries, including Germany, Spain, Panama, Argentina, Africa, and Ukraine. Dr. Petrillo has taught Bible at Magnolia Bible College, York College, and Bear Valley Bible Institute of Denver. Petrillo’s works include Commentaries over the books of Ezekiel, 1, 2 Timothy and Titus, and Minor Prophets Study Guide. He and his wife, Kathy, have three children, Lance, Brett, and Laura. The late Neale T. Pryor received a Th.D. from New Orleans Baptist Seminary. 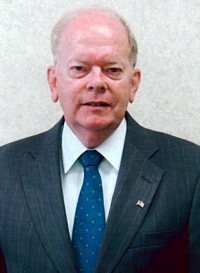 He was a distinguished Bible professor at Harding University for forty-five years and served at times as the Bible Department chairman and Vice President for Academic Affairs. Pryor authored the book You Can Trust Your Bible. Through the years he preached in more than five hundred gospel meetings in forty states. He was an elder of the College church of Christ in Searcy. He and his wife Treva were married for fifty-one years. Alan (deceased) and Lori are their two children. David R. Rechtin has been preaching for forty-five years and has spent the past thirty years serving the congregation at Clark Road in Duncanville, Texas, formerly Saner Avenue church of Christ. He received an M.A. from Abilene Christian University, with an emphasis on Biblical Studies. He has spoken on lectureships, focusing on such topics as “How to Determine the Will of God” and “How to Have a Relationship with God.” He and his wife Sharon have two sons, James and Daniel. 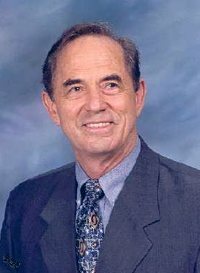 Dr. Coy D. Roper, born in Dill City, Oklahoma, has served as a preacher, teacher, and writer throughout his life-long ministry. After graduating with a B.S. degree in Bible from Abilene Christian University (1958), he earned the M.T. in secondary education at Northeastern State University (1966). Roper then completed the M.S. 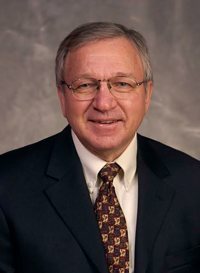 in Bible and missions from Abilene Christian University (1977), and he finished his Ph.D. from the University of Michigan’s Department of Near Eastern Studies with an Old Testament concentration (1988). Roper earned the M.A. from Heritage Christian University with an emphasis in Greek (2007). Roper began preaching in 1955 for the church in Charlie, Texas. Since that time, he has preached in Oklahoma, Tennessee, Michigan, Canada, and Australia. In addition, he has taught at Western Christian College, Macquarie School of Preaching (North Ryde, Australia), Michigan Christian College, Lipscomb University, and Heritage Christian University. From 2000 to 2005, Roper served as the director of graduate studies at Heritage Christian. At present, he preaches for the Trent Church of Christ (Trent, Texas) and writes for Truth for Today in Searcy, Arkansas. Coy and his wife, Sharlotte, have three children and ten grandchildren. 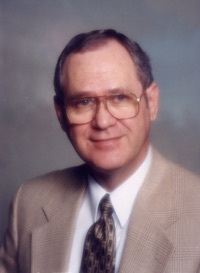 David L. Roper, born and reared in Oklahoma, attended Abilene Christian University and earned a BS and an MS in Bible. 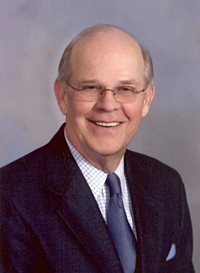 Roper began his preaching career at age eighteen and has held full-time preaching positions at seven congregations in Oklahoma, Texas, and Arkansas. He has also shared the gospel in other areas of the world, including England, Scotland, Italy, Turkey, Japan, and Romania. 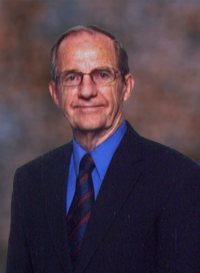 As missionaries in Sydney, Australia, from 1968 to 1977, Roper and his family worked with a local congregation and the Macquarie School of Preaching. Roper has written numerous tracts, books, and booklets. Among his writings are The Day Christ Came (Again), Practical Christianity: Studies in the Book of James, Getting Serious About Love, and Through the Bible. He has also hosted Christian TV and radio programs. Roper served as an associate editor and continues to write for Truth for Today in Searcy, Arkansas. Don Shackelford, a retired Bible professor, taught for thirty years at Harding University in Searcy, Arkansas. He also served as chairman of the Bible Department at Lubbock Christian University in Texas. A native of Joplin, Missouri, Shackelford attended Oklahoma Christian University and completed his undergraduate degree at David Lipscomb University. He attended New Orleans Baptist Theological Seminary, earning the B.D. and Th.D. degrees. As a minister, Shackelford has preached for congregations in Oklahoma, Tennessee, Texas, and Louisiana. He also served as a missionary to Palermo, Sicily, and Florence, Italy. He served as an elder of the Cloverdale church of Christ in Searcy, Arkansas, for more than twenty-five years. While at Harding University, Shackelford was a professor of Bible and Dean of International Studies. Presently, he serves as the Old Testament adviser for Truth for Today, teaches for Harding as an adjunct professor, and teaches Old Testament graduate courses for Southern Christian University in Montgomery, Alabama. 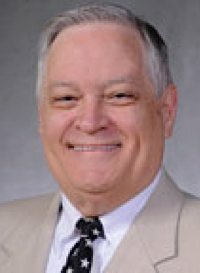 He is the author of A Survey of Church History and has edited lectureship books for both Lubbock Christian and Harding. His articles have been published in Gospel Advocate, Restoration Quarterly, Firm Foundation, Power for Today, and The Christian Chronicle. Don and his wife, Joyce, have five children and fifteen grandchildren. Dr. Duane Warden, the associate New Testament editor for this series, was born in Franklin, Arkansas, but was reared in Flint, Michigan. He completed the A.A. degree from Freed-Hardeman University, the B.A. from Harding University, the M.A.R. from Harding University Graduate School of Religion, and the Ph.D. in New Testament from Duke University. In addition, Dr. Warden has completed post-doctoral work in classical studies at Columbia University and the American School of Classical Studies in Athens, Greece. Dr. Warden has served on the Bible faculty at Ohio Valley University as well as at Harding University. 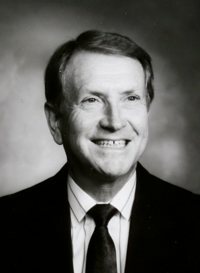 He was chairman of the Bible department at Ohio Valley (1986-1993) and associate dean of the College of Bible and Religion at Harding (1996-2005). He continues to teach as professor of New Testament at Amridge University. In addition to teaching, Dr. Warden has worked in ministry throughout his tenure of service. He preached full-time in West Virginia, Virginia, and Arkansas; and he served in part-time ministry while teaching for Ohio Valley and Harding. At present, he preaches at the Velvet Ridge Church of Christ. Dr. 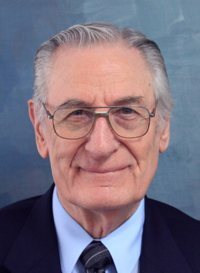 Warden has published several essays and articles in scholarly publications, including Biblical Interpretation: Studies in Honor of Jack P. Lewis, Classical Philology, Restoration Quarterly, and Journal for the Evangelical Theological Society. He has also written for Truth for Today, Gospel Advocate, Firm Foundation, and Christian Chronicle. He and his wife, Janet, have one son, David M. Warden, and one foster son, David A. Martin.